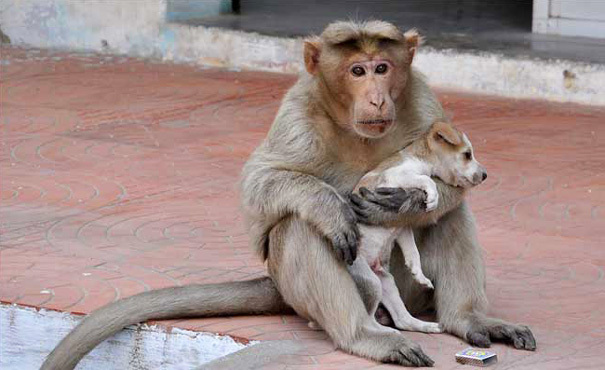 Monkey adopts abandoned puppy, when stray dogs attack she protects it. 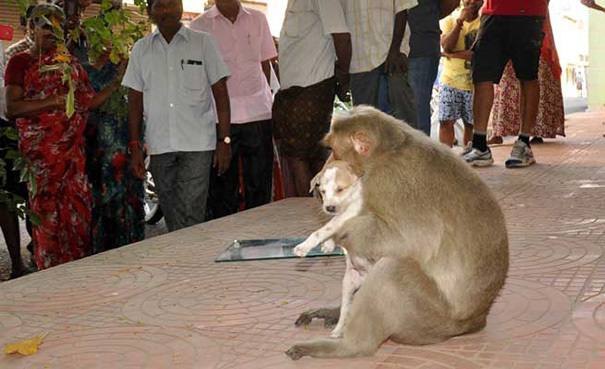 Who would have thought that a puppy will become a monkey’s precious baby? I know it sounds impossible and unimaginable but it just happened. 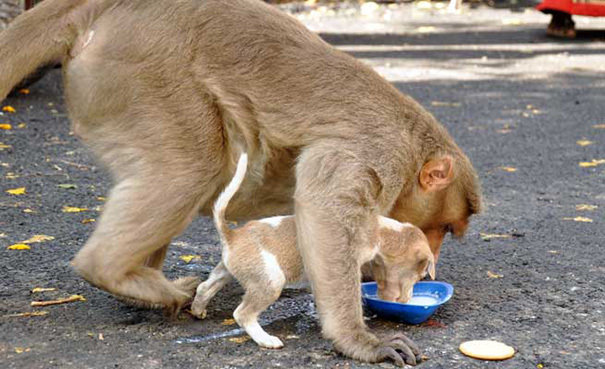 Despite the major differences between monkeys and dogs, this monkey was able to naturally adopt this puppy like his own. Situated on the Kaveri River in southern India citizens of Erode are no stranger to seeing jungle wildlife in and around their city. They were however quite surprised recently when a rhesus macaque was found in possession of, and seemed to be caring for, a young puppy. 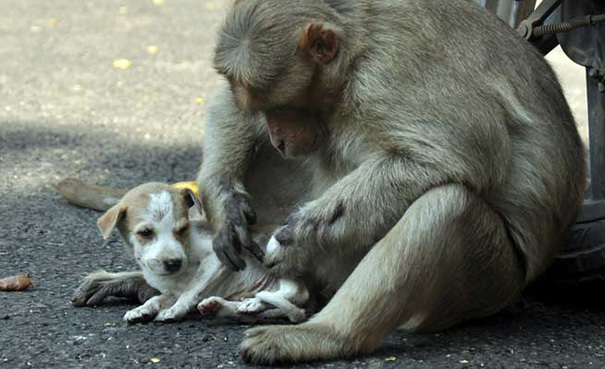 How the wild monkey came to adopt the dog, no one can say, but her relationship to the little one is shockingly maternal. As word of their friendship began to spread, locals gathered near their haunt to get a glimpse of this rare and unlikely relationship. 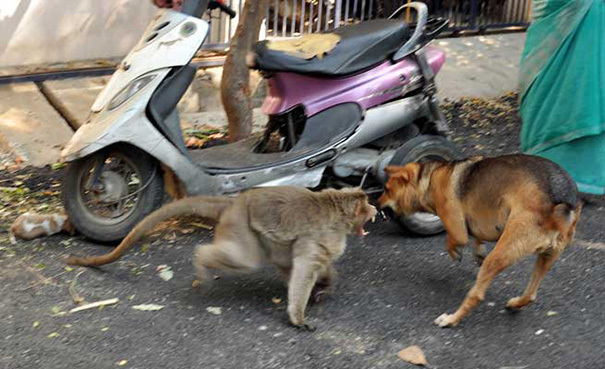 The macaque would even defend her canine charge from aggressive stray dogs! As the puppy has gotten older she was taken to a local shelter and will soon be put up for adoption to find a forever family. But their sweet relationship should be a reminder to us all. Love knows no bounds.